Rotterdam has been a place that has fascinated me for some time, due to its architectural uniqueness. 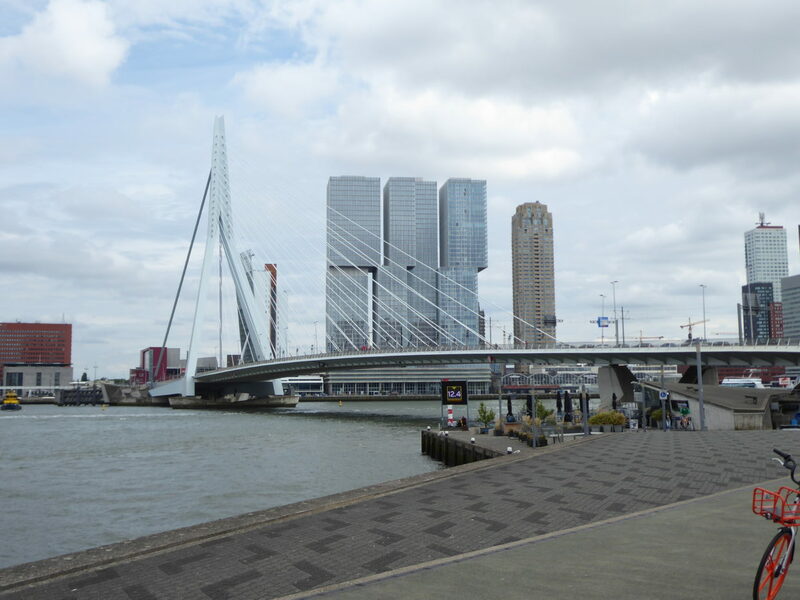 Unlike other cities that were destroyed in World War 2, Rotterdam is built in a modernistic, experimental way. As a result, quirky buildings are everywhere to be found. Add to the fact the infrastructure is fantastic tourists avoid it for Amsterdam, Rotterdam is essentially my ideal city to visit. 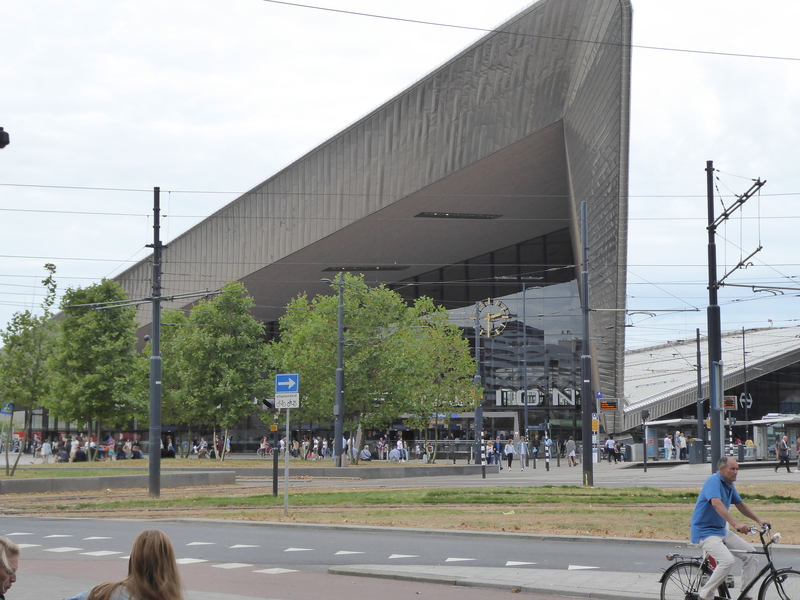 I’d heard about Rotterdam from my father, who’d made several trips here for work over the years. He stated it was a cycling haven, but after doing my own research about its modern history, I made it a point to visit if I ever had the opportunity. 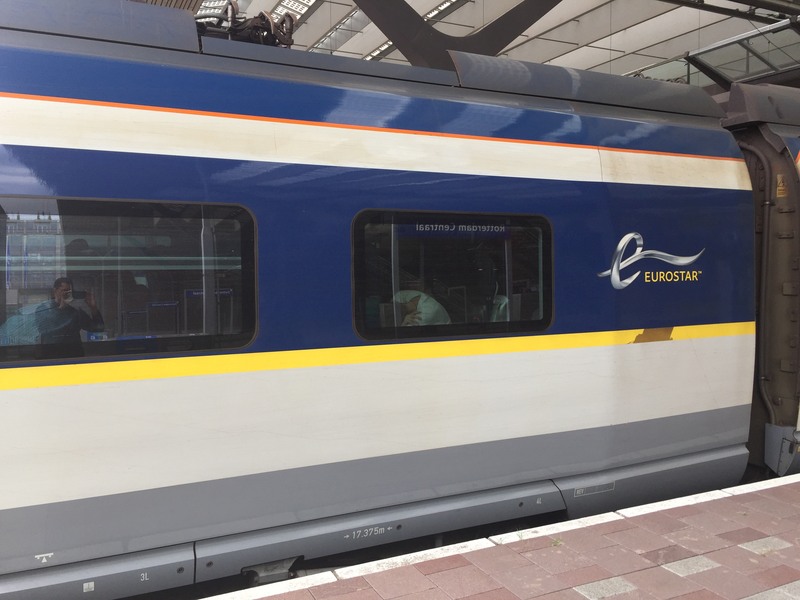 With the new Eurostar line going to Rotterdam from London, I could not pass up the opportunity. The day started very early, as I had to catch a suburban train into London around 6:30. 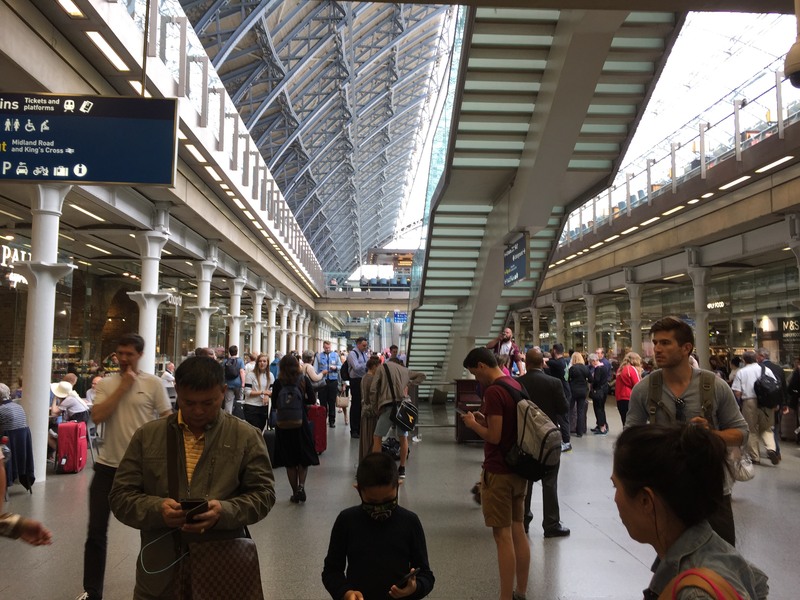 I got off at the last stop, London Victoria, from where I hopped on the metro to St. Pancras International station. Like the main station in Birmingham, this is actually quite impressive, particularly when looking up. Unfortunately, the line of travelers looked equally impressive, but in a frightening way; luckily, it moved relatively quickly. There was a quick security check, and then on to an immigration agent. The agents here are French, presumably since France is the first country the Eurostar hits after crossing the English channel. However, these agents didn’t give me a good first impression of the French, as they seemed to enjoy confusing me by refusing to speak a word of English even though they are posted in London. This made me glad I did not go to Paris. Eventually, the stamp was given and it was off to a crowded terminal to wait for boarding. The train boarding started just a few minutes before the departure of 8:30. Boarding the train is easy, as each coach is labeled. 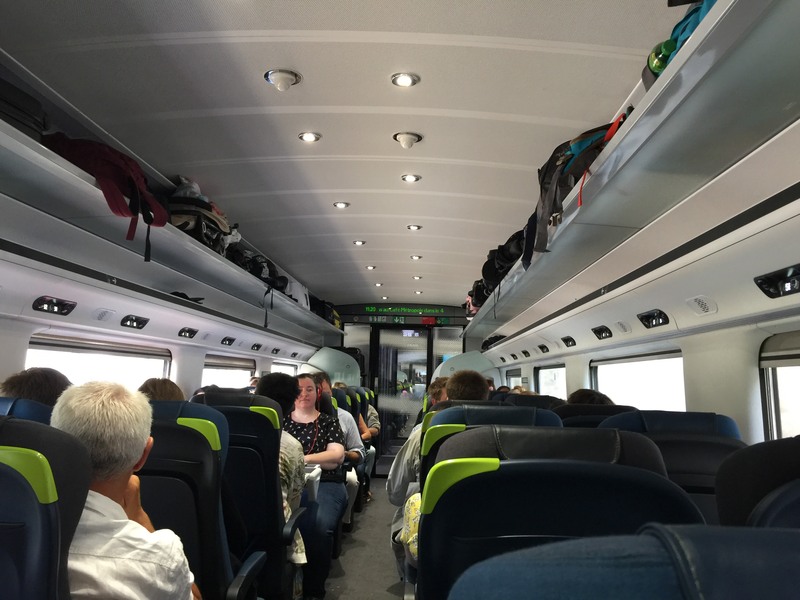 The boarding process only takes a few minutes because people can enter the train in any door, as all coaches are connected. The fact that there are so many doors makes this a much faster process than boarding an airplane. 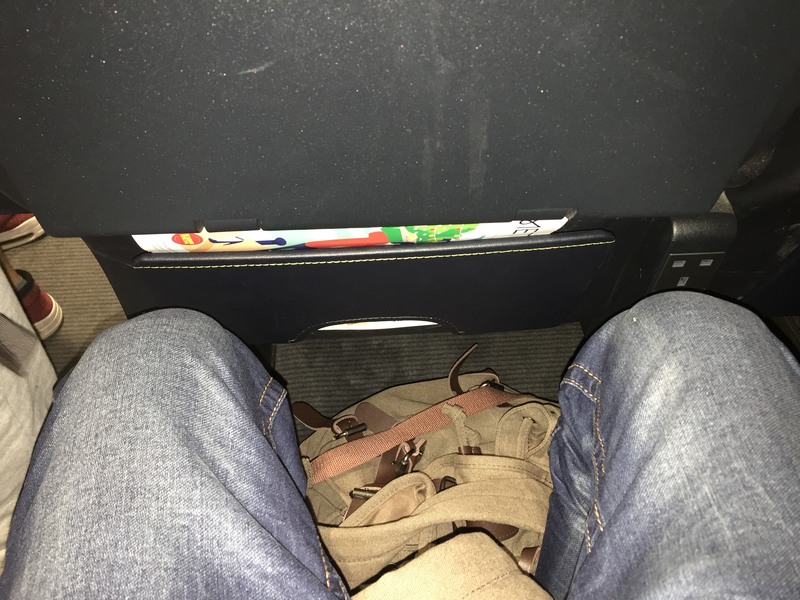 The seats were comfortable, with much more leg room than any economy airline seat. When the train ramped up to full speed, I could really feel it. I’d never taken such a high speed train before, and now I am really impressed and am scratching my head as to why the USA is fifty years behind the rest of the world in rail infrastructure. The route first crossed from France to Belgium (with a stop in Brussels) and finally the Netherlands. Upon arrival in Rotterdam, I was stunned. There were trains, bicycles, and fantastic architecture before my eyes, this was my dream city. The hotel I booked was right in front of the train station, it could not have been any more convenient. Now, it was time to begin the exploration of the place that had always intrigued me.